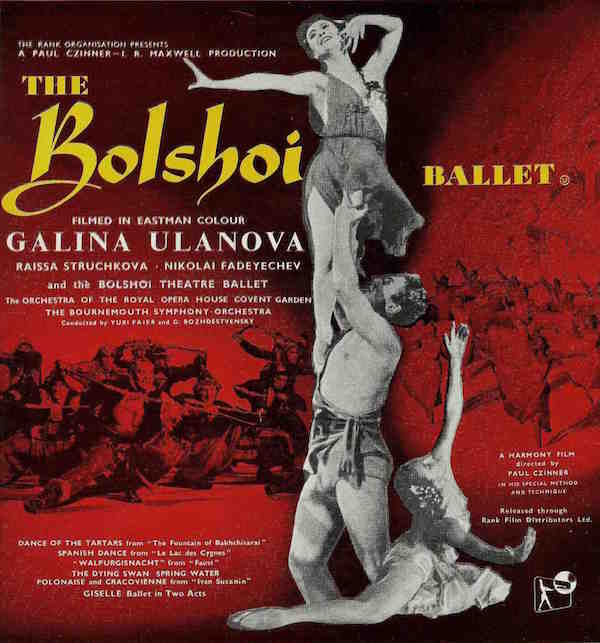 In autumn 1956 the Soviet Union’s renowned Bolshoi Ballet visited the West – a groundbreaking (if brief) thaw in the Cold War. Their only UK performances were 3 weeks at the Royal Opera House Covent Garden followed by 3 nights at the Davis Theatre, Croydon. These ‘extra’ dates alone were a tribute to one of Croydon’s largest and most elegant former theatres. 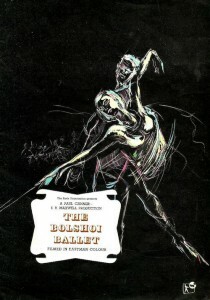 Remarkably, half of this British feature length film, made to showcase the Bolshoi’s artistry, was shot at the Davis Theatre during the early hours of 2 November 1956 – after the second performance! Czinner’s film was strikingly innovative, the development of Kodak Eastmancolour earlier in the 1950s allowing him to use multiple, mobile 35mm cameras. This captured the magnificence of the Bolshoi before international influences caused dance styles to evolve. The film shows why Galina Ulanova was considered the greatest Giselle of her time. This historic record of The Bolshoi Ballet’s 1956 tour includes performances of the divertissement in Croydon and Giselle at Covent Garden. While the film is no longer available in the UK we have managed to source a copy which is not quite up to our usual technical standards. However, we feel that this rare screening of the Bolshoi’s Croydon appearance fully justifies this. As at the November (60th anniversary) screening, the film will be preceded by a short talk by local historian Carole Roberts. She will explain the background to the Bolshoi’s visit and the phenomenal impact it made. An indication of that impact can be judged from the image to the right, reproducing the cover of a souvenir booklet. 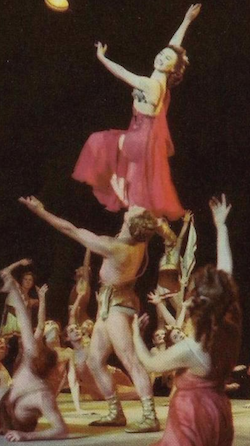 The booklet was not distributed at actual performances by The Bolshoi but sold at screenings of Czinner’s film in places the tour did not reach! We would like to sincerely thank our sponsors, particularly Peter Francis, whose kind generosity has made this commemorative screening possible. No Review of the film as such, but here are links to: The BFI page on the film; The Spectator’s 1956 review of the tour; and a Reuters item on The Bolshoi’s commemoration of the event including footage from newsreel coverage of the tour at the time.